Research, often underappreciated, is the foundation of medical decisions and the determining factor for whether devices and medications pass on to us as a population. Before we even hear about many of the amazing medical devices that are available to us, they undergo intense research to prove their safety and efficacy, and have to pass through national regulations to be distributed to the general population. Research is the basis of the trends and decisions that we make in healthcare. In physical therapy, research is the basis of the treatments we provide. It makes for valuable, efficient treatment. Research proves the effectiveness of exercise for treating back pain, and provides the justification for why we prescribe specific exercises. In the case of brain injury, this research is vital because subjects are not always able to describe their progress and limitations as they go through the healing process. A brain injury, especially when traumatic, leaves someone relearning to do the activities that we spent our childhood years developing: walking, talking, eating, expressing what they want and understanding commands. Time is very valuable during recovery, and it is important to begin effective treatment immediately before the results from the injury become chronic. With good research, there is more likelihood that effective treatment can be provided at an appropriate time. KINARM Labs is a robotic platform developed for neuroscientists to conduct basic and clinical research for brain injury in the realm of cognitive, sensory, and motor deficits. This is novel and fantastic as it provides an option for both companies developing products and clinical research to learn more about their subjects. It is quite an amazing and involved research option for neuroscientists, with a multitude of research options to explore for researchers. 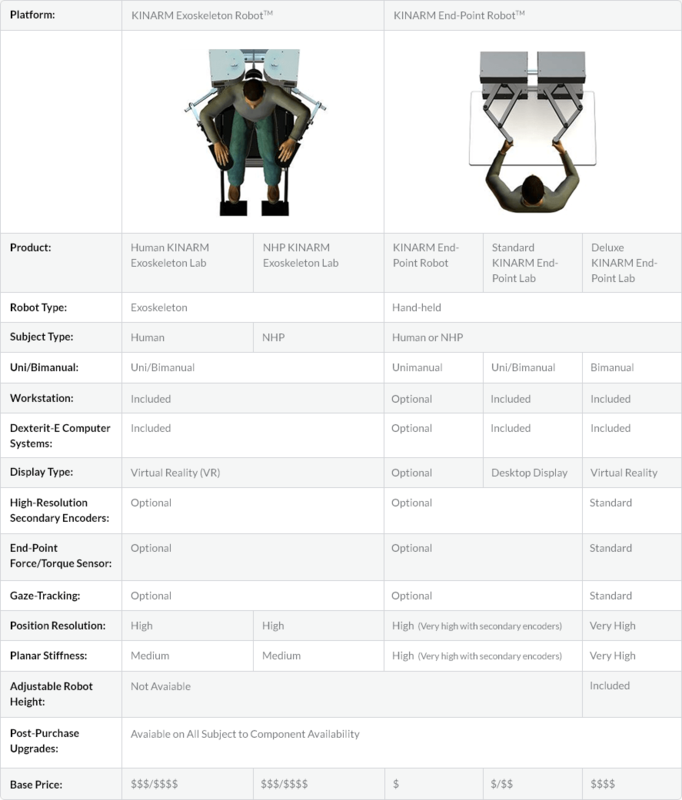 There are two basic categories of available research platform: an Exoskeleton Lab and a hand-held bimanual End-Point Lab. The Exoskeleton Lab helps to evaluate sensorimotor performance and voluntary motor control after a brain injury. 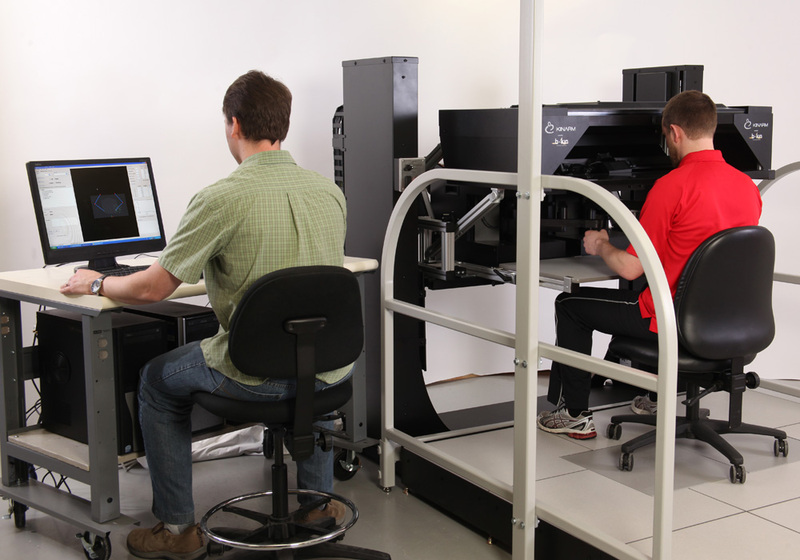 This lab allows researchers to observe aspects of controlled movement such as joint motion. As the site states, this is a huge asset in the development of neuroprosthetics, where devices optimize the use of intact neural systems to help regain motor control of areas that have been injured. The End-Point Lab is a graspable, hand-held robotics research platform which has sensors which helps to evaluate components important for upper limb control and coordination, visual research, and virtual reality as it relates to brain injury. One of the many great aspects of this lab is that it is bimanual, and thus the performance of an affected side can be compared to the unaffected side after injury. It is difficult to fully describe all the aspects of this amazing platform. Go to their site to learn more. As healthcare technology expands its options and devices, it is vital for companies to remember that devices and programs available for clients must be based on research and knowledge.